The anti-immigrant group known as the Yellow Vests are planning a rally at Burnaby City Hall this weekend. “Call out to ALL Canadians in the Burnaby, Vancouver, lower mainland area to join us in opposition to the globalists and United Nations,” reads the description, for the event planned on Saturday at Burnaby City Hall. “We believe that as a true grassroots, uncontrolled official federal party, politics and activism are the same and integral to who we are as a federal party,” stated the party on its website. 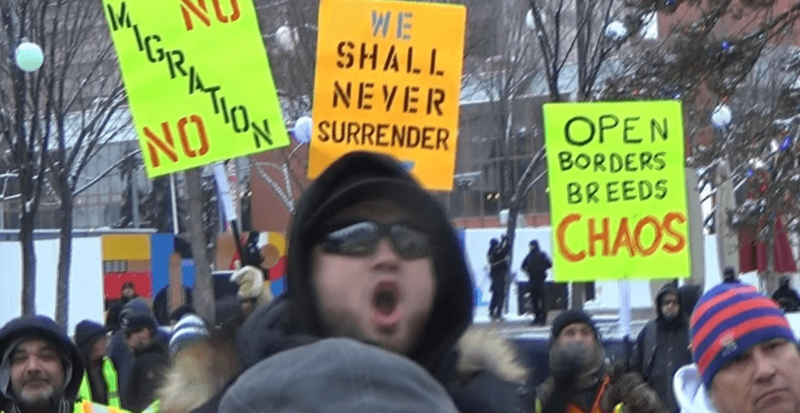 “The National Citizens Alliance shares similar values as the Council of European Canadians. Although we recognize all Canadians who embrace Canada as their homeland and Canadian values, we recognize the significant contribution of Euro-Canadians to our county’s identity, heritage, culture, values, and the creation of the Canadian nation itself,” says the party. The NCA’s founder and leader Stephen J. Garvey and the federal candidate for the Burnaby South by-election, Zachary Johnson, will also speak. Burnaby’s City Clerk, Kate O’Connell, says that city hall is aware that the rally is taking place on its grounds.